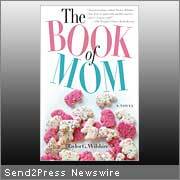 SAN DIEGO, Calif. — Taylor Wilshire, award-winning author of “The What-If Guy” (ISBN: 0-9778018-02), has a new novel out, “The Book of Mom” (ISBN: 978-0-9778018-1-7, Nautilus Press) which is one of the Top 10 New Releases of 2008 on Amazon.com‘s “Listmania,” as well as an international best-seller on Amazon. Both are perfect summer reads! The Book of Mom has made the international best-seller list on Amazon in the category of entertainment-humor-self help this month. Inspirational and thought provoking, The Book of Mom embraces the core of motherhood as it takes readers along on a journey of self-discovery and healing. Every mom will recognize the challenges of tackling the larger issues of life while keeping up with the exhausting day-to-day routine and will appreciate discovering that with help; anyone can find inward and outward balance. Parenting has never been harder with distractions that keep you from being present in the moment. Wilshire delivers valuable conscious parenting techniques that work, but more importantly, she offers solutions in an entertaining and enlightening way that bring balance and authenticity to the role of the modern mom. Taylor Wilshire has been featured on NBC Morning News, Fox Morning News, Los Angeles Cable TV, KPNX-TV “Arizona Midday,” KATU-TV “AM Northwest,” KING5-TV “Morning News,” just to name a few. She has been featured in over 1000 regional newspapers and has broadcast on over 50 radio stations, including National Public Radio (NPR), Project Health Radio in Chicago, XM Satellite Radio, and many more. In addition to being an award-winning author, Wilshire is an ordained minister and former Fortune 500 executive. She is a sought after motivational and inspirational speaker and is one of the dating experts on the panel at: http://www.savvymiss.com. More information about the author and the book: http://www.bookofmom.net.